Once again the New Year is here and it’s time to start transplanting. 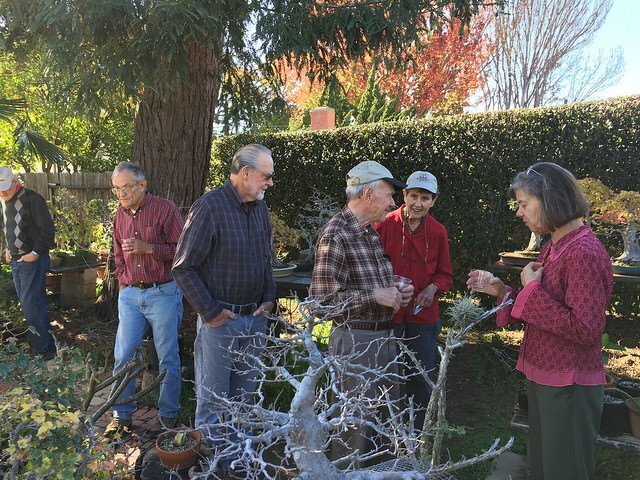 Just what to do with those roots for successful transplanting, good nebari, and just generally happy trees is often a source of angst and trepidation after you’ve removed your favorite tree from its pot and are confronted with the daunting mass in front of you. Well, take heart! 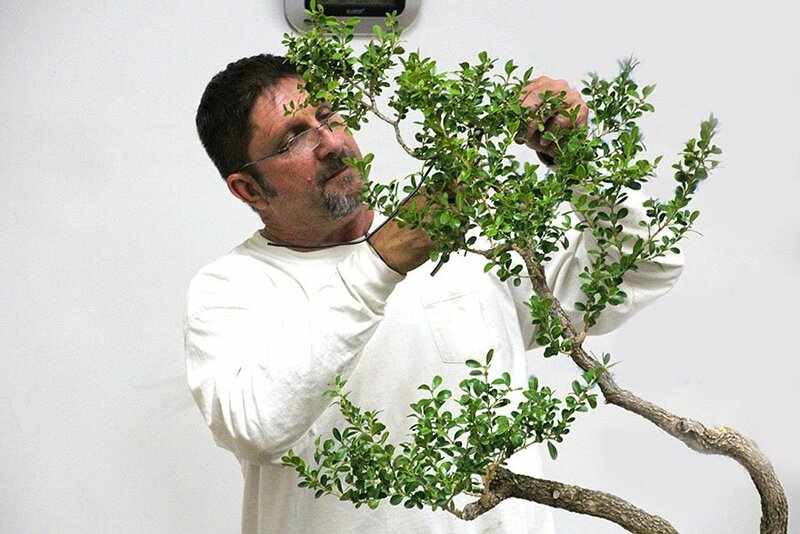 Ted Matson, one of the best bonsai artists and teachers that you’ll find anywhere, will be here to clear up many mysteries and answer your questions. 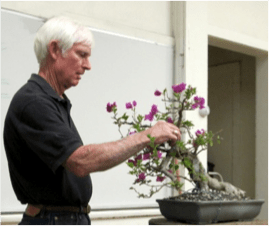 Ted began studying bonsai in 1979 in San Francisco and moved to Los Angeles in 1980, where he became involved in a number of clubs and began a serious pursuit of the art, taking classes from leading masters in Southern California. 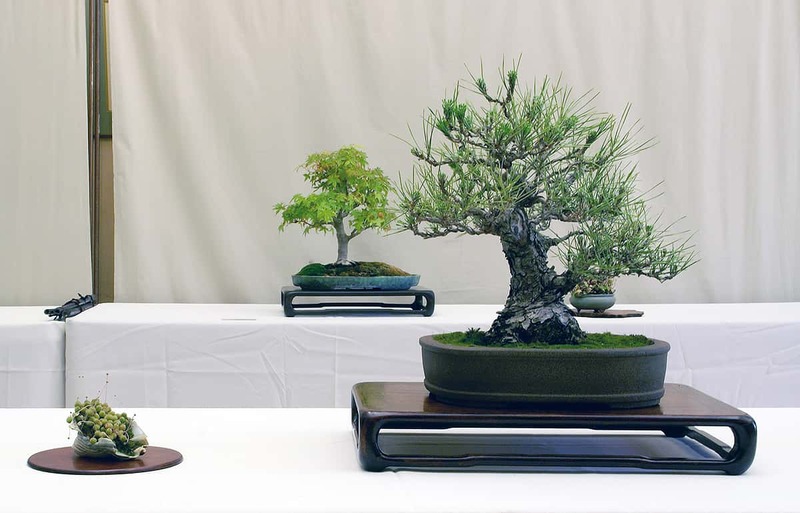 Although Ted is a lover of shohin bonsai, his collection includes trees of all sizes, styles and a range of species. His trees are known for their proportion and detail. Today, in addition to his own classes, he maintains a busy teaching schedule, traveling throughout the country. Welcome to a new year! Our first order of business will be to elect our officers for the New Year. The board will present its list of prospects. 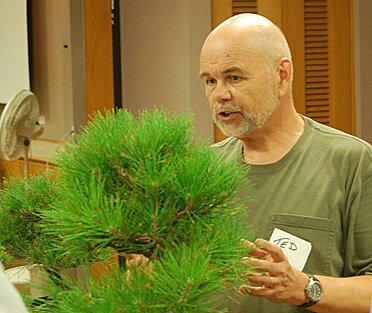 Ted Matson will present our first program on the timely topic of dealing with roots. I am pleased to announce that Steve Gibson has agreed to become the program chairman. 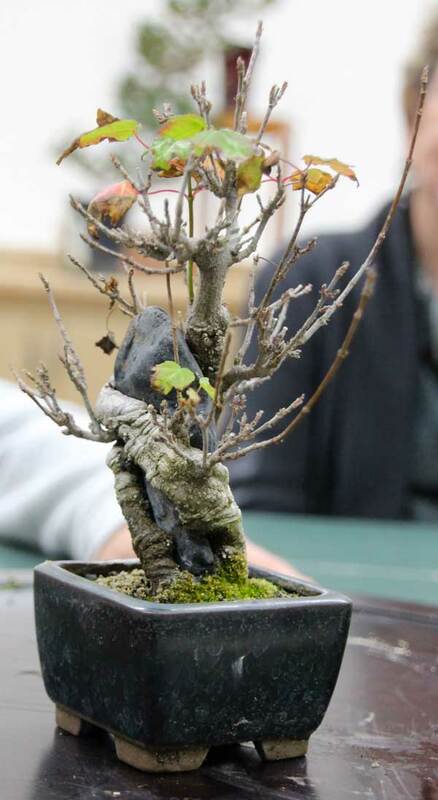 We do make every effort to offer programs which are timely and of interest to those who are new to bonsai as well as ones which are vital to those who have lots of experience. If you have suggestions for programs that you would be interested in, please let Steve know. I hope that everyone who attended enjoyed it as much as the Olsons did. 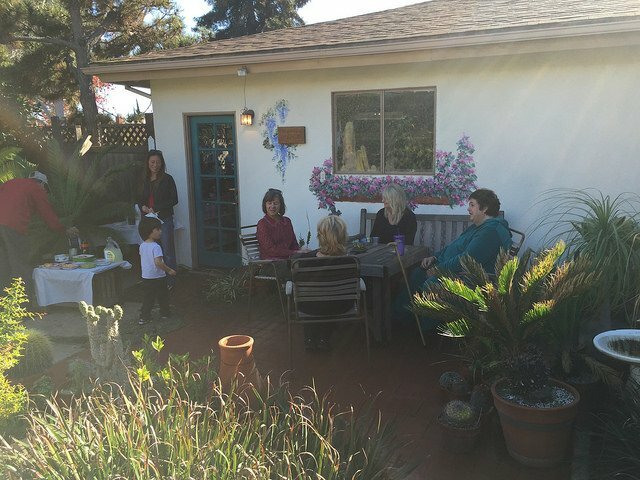 Thanks for coming, and thanks to Daniel Martinez here are a few pictures of the event. We’ll have an election at this month’s meeting. Tom Post isn’t termed out as President yet, but as he mentioned in his message above, Steve Gibson has had his arm twi… oops… that should read Steve Gibson has VOLUNTEERED to take over the Program Chair from Tom who has been doing a bang-up job in addition to his presidential duties. Also, our current Treasurer, Cami Segna, is far too busy to continue in the office, so Tom has convinced Ernie Witham that he wants to “volunteer” to take over the job. Nominations will also be accepted from the floor. 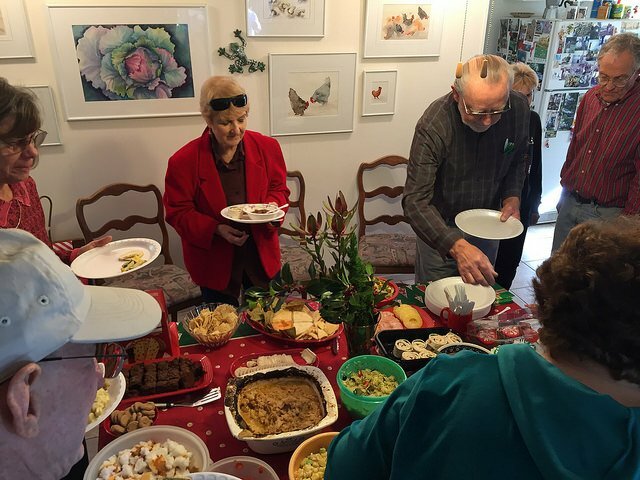 9 AM until noon or 1 to 4 PM., Room 7, Goleta Valley Community Center. Roy Nagatoshi, guest instructor. New semester. Classes meet on the third Saturday of the month. Workshop fee is $108 per semester. Contact Wally Kunimoto if you have a question. 1st Semester schedule is included with this newsletter. Los Angeles Arboretum, 301 N. Baldwin Ave., Arcadia. Ayers Hall. Hours 10 AM until 4:30 PM. 51st annual celebration. Demos both days at 1:00 PM. Bonsai material for sale. For information contact Lindsay Shiba at ljshiba@juno.com. At Santa Barbara Botanic Garden. More details later, but put the dates on your calendar now.